Use this checklist as a guide to ensure that you receive your financial aid award for the upcoming year. How to update your contact information so that you never miss a communication! How to access your class schedule and/or view the live status of your charges, awards, and account balance! How Parents can apply for an additional loan to help you with your balance. How to complete the steps required to qualify for student loans. How submit a loan request via your MYHSSU student portal. How to create your Federal Student Aid ID to sign your FAFSA and MPN. How to update your personal information so that we know who has permission to have access to your account information. How to submit a Financial Aid Satisfactory Academic Progress (SAP) Appeal online. How to complete the Free Application for Federal Student Aid. 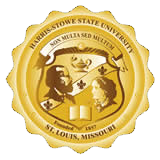 How to log into MYHSSU/eLearning, Hornet Mail, OneDrive, and the Student Home Page. How to find your way around the HSSU Campus. How to apply for a waiver when no other sources of financial aid are available. How to contact the IRS to obtain required tax documents and how to use the Data Retrieval Tool (DRT) on your FAFSA. How to complete your exit counseling which is required for all graduating students that have used loans at any point during their undergraduate career. Once you've completed your FAFSA, you can check to see what additional documents are needed by reviewing your "Document Tracking" information in MYHSSU. Instructions on how to register for classes online. Explanations and descriptions for information listed in the student portal. If you can't find directions for what you are looking for, call us at 314.340.3500.